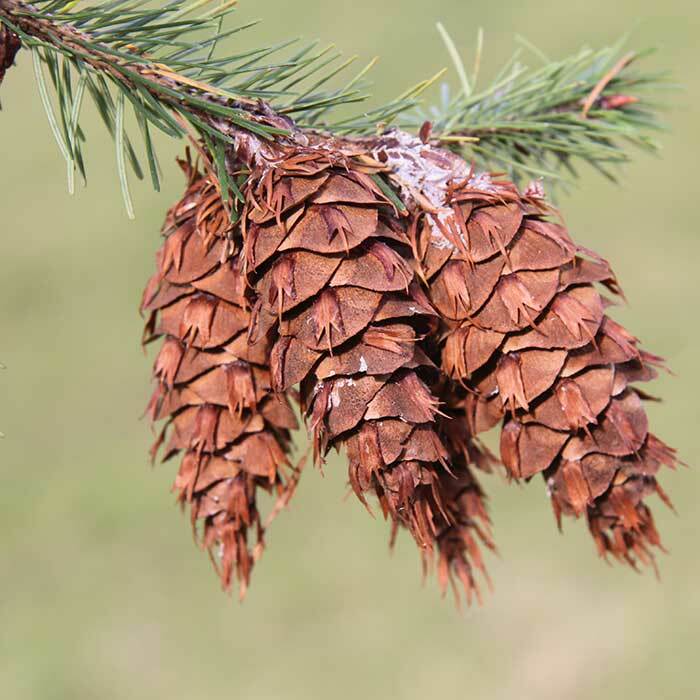 Male cones are catkin-like and about 1 – 2 cm in length. 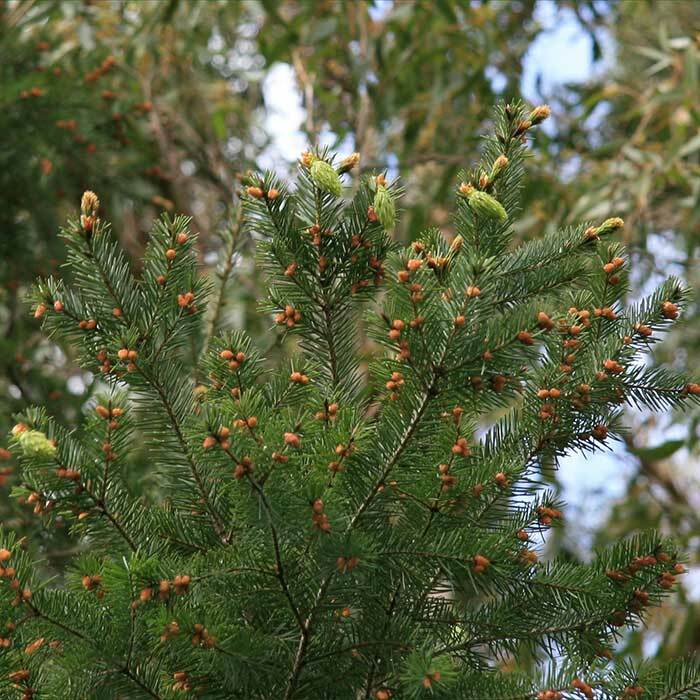 Late spring or summer frosts can cause damage or mortality to young trees. 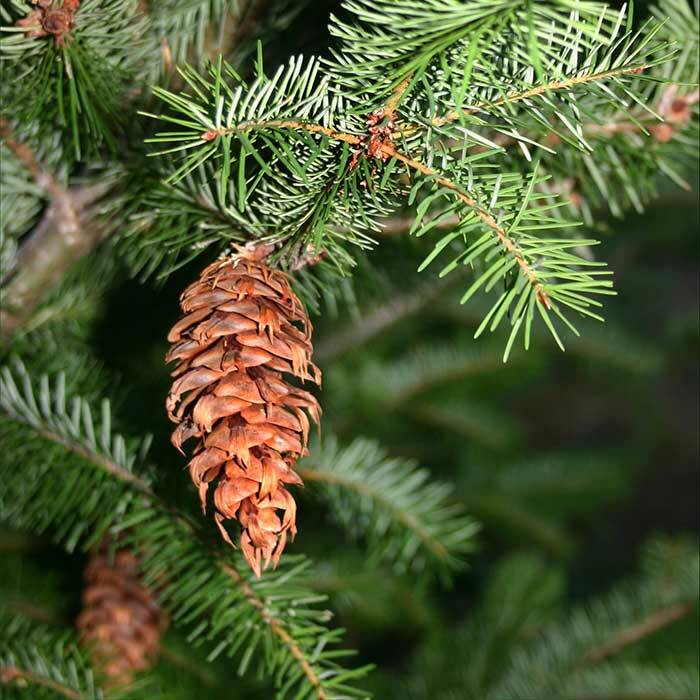 Douglas-fir can regenerate under partial shade conditions and can be found as understorey of open Douglas-fir stands. 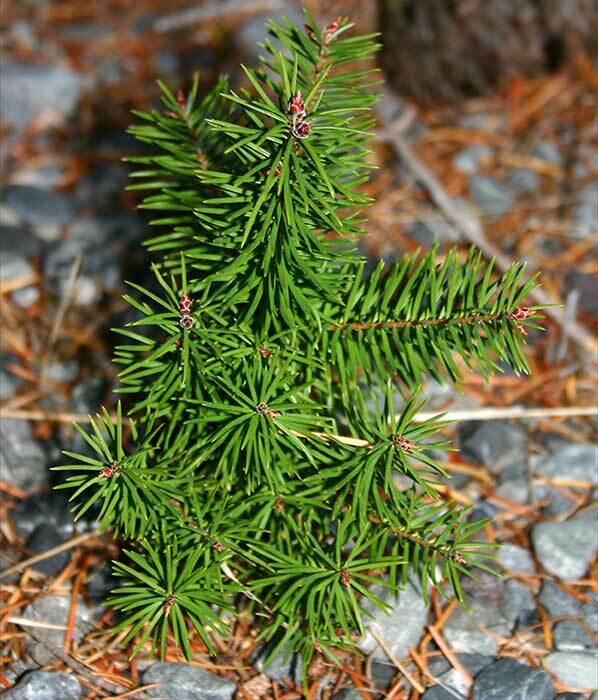 Browsing or dense canopies can limit Douglas-fir regeneration. Larger Douglas-fir wildings can reduce grazing potential of grassland and can shade out native and exotic grasses in the long term. Used for structural purposes in engineering and construction. Individual trees are best controlled by drilling holes in the trunk and injecting glyphosate or metsulfuron into the holes. 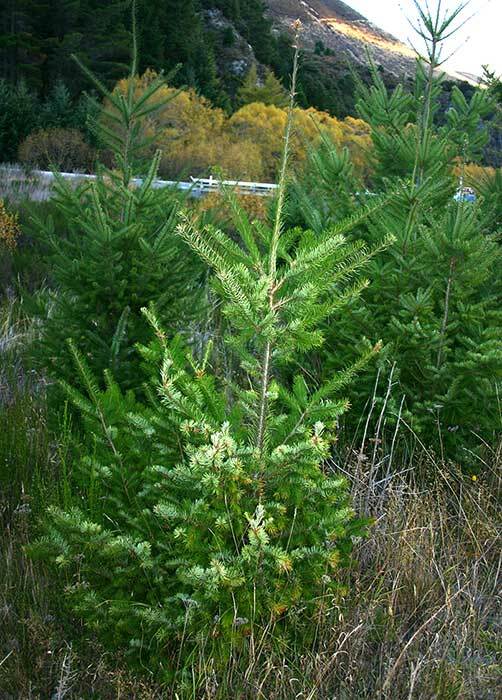 Further detailed information on how to identify, control and manage wilding conifers can be found on the website: New Zealand Wilding Conifer Management Group (accessed 1 August 2014). Young S 2013: New Zealand Novachem agrichemical manual. Agrimedia Ltd, Christchurch, New Zealand. 767 p.